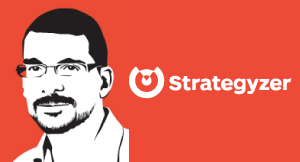 Alex Osterwalder discusses the importance of giving prestige and power in a large company to people leading business model innovation and entrepreneurship efforts. But he cautions against providing it in the usual forms of budget and staff. There, the challenge is, well how you get new businesses with potentially different business models, not necessarily, how do you give them space to grow. Well, you want to give entrepreneurship some prestige and power in your company. That is not the case today, and there is a very simple reason. What gives you prestige in a large company? It’s the budget that you manage and it’s the number of people that you manage. Yet an entrepreneur, and innovator, business model innovator should never start with a huge team and a huge budget, because you will waste the money; you will blow it. You want to start small and increase that, but it means you need to give your innovators really a seat at the top table, and I like to be really provocative and say, hey, what if we created the Chief Corporate Entrepreneur, who has just as much power as the CEO and he or she reports to the board? You’re creating a space where people can innovate with real power to create the future for the company. The business spin-in is one way well-established companies can lower the risk of investing in or buying startups to feed their innovation pipeline.